Suraj Hadkonkar came off the bench to rescue a point for the Golden Eagles. Dempo Sports Club continued their winning streak as they defeated Vasco Sports Club 2-0 in the Goa Professional League match played at Duler Stadium earlier today. With this win, Dempo go on top with 24 points from 10 matches, while Vasco continued to struggle at the bottom half of the table with just eight points from nine matches. 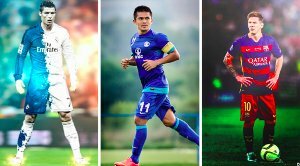 Vasco had suffered a 2-0 defeat at the hands of Sporting Clube de Goa in the last match, whereas, Dempo were in a fantastic form after edging out Corps of Signals in the previous round match. 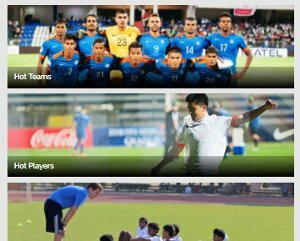 Dempo coach Samir Naik brought in Joaquim Abranches replacing Latesh Mandrekar, Desmon Pereira made way for U-20 midfielder Nestor Dias. On the other hand, Vasco coach Eban Mesquita made only one change to his side as Benston Barreto replaced Clive Coelho in the starting XI for the Port Towners. Dempo almost had a dream start to the match when Beevan D’Mello headed in off Nickson Castanha’s curling free-kick but it was cut-shot by linesman with a raised flag for an offside. Afew minutes later, Nickson came with a similar free-kick in the box but this time Naveen Mendes headed wide from 6 yards. Another chance came into Dempo’s way in the 7th minutes when Joaquim brilliantly set up Kapil Hoble with just keeper to beat but the U-20 winger shot wide from inside. Three minutes later, Kapil was unlucky not to score when he saw his header rebounded off the crossbar from Yogesh Kadam’s fine cross. After complete dominance by the Golden Eagles in the first 15 minutes, it was Vasco who came close to scoring when their skipper Schubert Pereira sent a perfect cross in the box to Guinean midfielder Vasseba Toure but the latter’s strong header found the side netting. The last few minutes of the match witnessed Vasco wasting two great opportunities as first Beneston shot over the crossbar from just outside the box, while a few minutes later, he cut past two defenders in the box but failed to direct his shot as Dempo keeper Agnelo Gomes comfortably collected his weak shot. 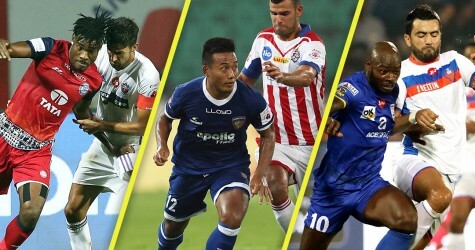 The second session started with an end-to-end play where Vasco were the more potent side in the first few minutes but it was Dempo who came close to scoring in the 58th minutes when Velito D’Cruz made a dangerous run on the rival and released it to Yogesh just outside the box, the latter directly went for the glory from the distance only to see it denied by the goal-post. 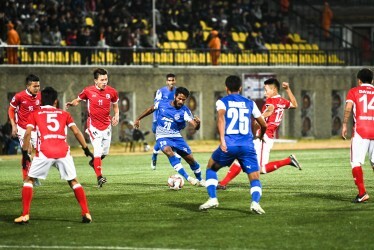 With Dempo lacking in converting the chances, their coach Samir brought in Suraj Hadkonkar replacing Beevan in the 63rd minutes and he made the difference to the Dempo’s play as he brilliantly set up Joaquim with a through pass in the box who made no mistake to beat the keeper with a neat placement, making it 1-0 for the Golden Eagles. A minute later, Suraj was once again in action when he tried his luck from the edge of the box but Vasco keeper Amit Biswas blocked it for safety. A few minutes later, Vasco skipper Schubert once again went for the glory from inside the box but these time the latter failed to control his shot as the ball went just over the crossbar. At the other end, Suraj made a darting run from the halfway line and made a short pass to his teammate Joaquim who in return released the ball to the midfielder. The substitute later finished the ball home from inside the box to double his side’s lead. Vasco had the best chance in the added time to reduce the margin when their winger Anil Gaoncar found Beneston in the box but the striker shot hit the keeper Agnelo before going out for a corner.